R.I.P. Baby Car (2003-2014) | I'm not stalking you. My 2004 Pontiac Aztek, sometimes affectionately called Baby Car, was officially put to rest today, with an odometer reading of 226,793. 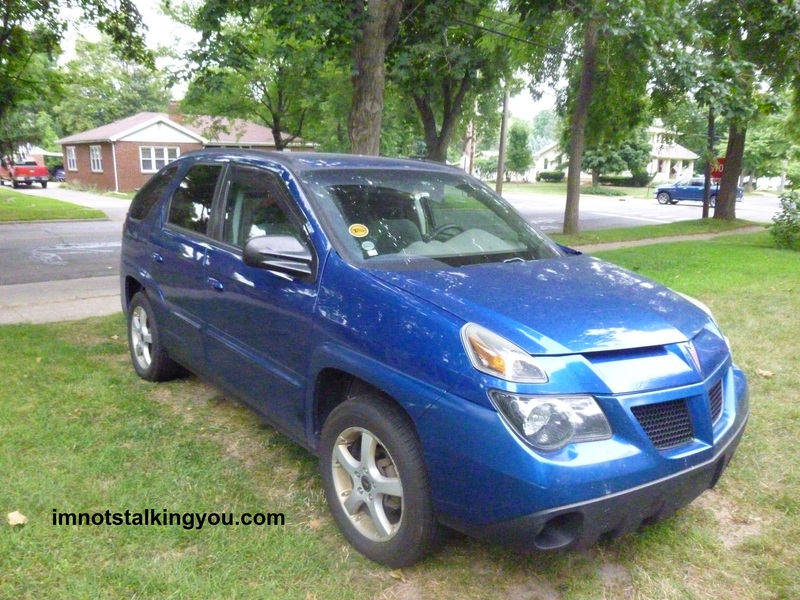 My Aztek was purchased on September 22, 2003 from Underwood Chevrolet Buick Pontiac Oldsmobile in Clinton, Michigan. All my miles. I sold it to someone for a rock bottom price, as the cost of towing and repairs to get it running again will be steep. My Aztek once held my husband, myself, mother-in-law, sister-in-law, my dog, a wheelchair, and all the supplies my MIL was taking home from her camper for the season. It is a feat other, larger SUVs could not handle. I loved that the rear seats could be removed completely. 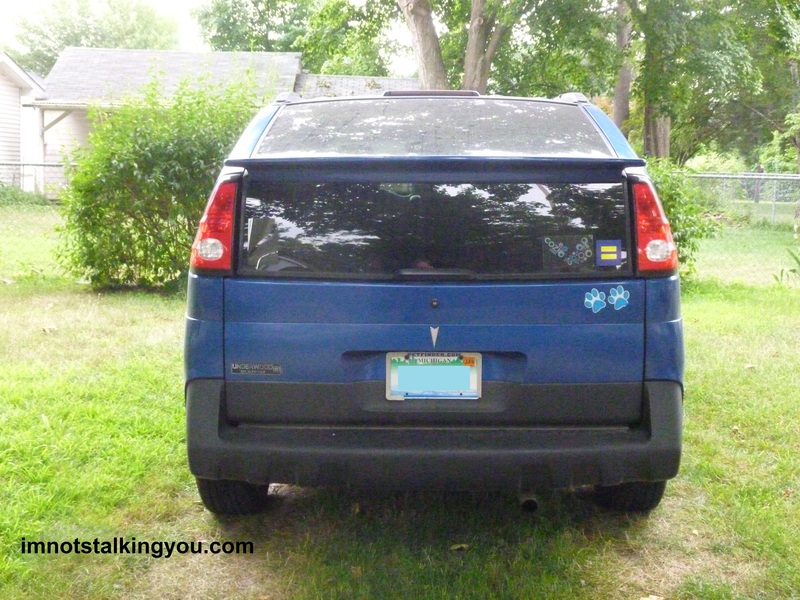 My Aztek was once loaded floor to ceiling with 25 years of my crap as I took it to my sister-in-law’s garage sale. We once took a trip and camped back there, using the optional tent package. On another trip, we were able to take 2 bicycles along with us by just taking off the front tire and popping them in the back. My Aztek hauled our belongings to our first and (so far) only house. It carried drywall to redo our ceilings. It carried our first dog, then our second dog as well. It has carried my mother and MIL to many doctor appointments and grocery stores. It hauled me to all my doctor’s appointments when I was pregnant with my son, then hauled him to his many doctor appointments for his first year, everywhere from Toledo to Ann Arbor. Note the black duct tape. I used blue until I could no longer find it in my house. I was so proud when I reached 200,000 miles. My new goal instantly became to take it to 300,000 miles. Plus, well, it would be good for my wallet to not have a car payment for a few more years. But, alas, it began to overheat on the 2 minute drive home from the grocery store, with all signs pointing to a blown head gasket. You have to love a car that waits till you pull in the driveway to heave its last sigh. While I am happy that it did not go to the junk yard to rot and rust, it is almost as painful to think of someone else owning my baby. The Aztek will never be forgotten. It will always hold a special place in my heart. 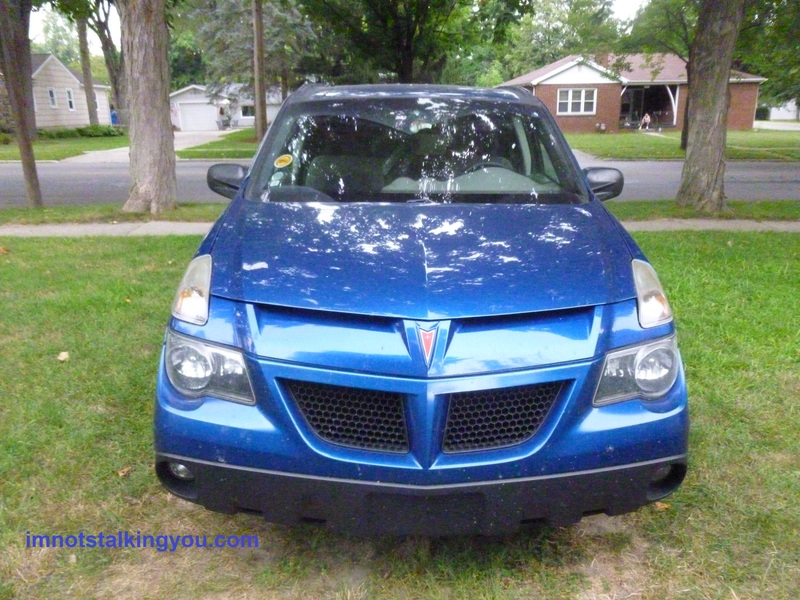 Posted in A day in the life, UnProfessional Photography & Artwork, Unusual Poetry & Writing and tagged 200000, 2004, Aztek, car, excellent, good, great, miles, obituary, Pontiac. Bookmark the permalink.